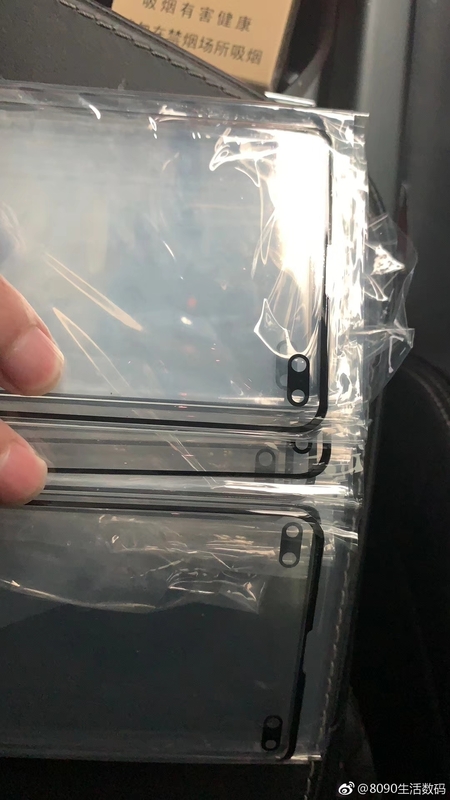 A new leak showing screen protectors for the Galaxy S10 with dual front cameras is claiming that this is the design finalized by Samsung for its upcoming flagship. It’s not too different from what we saw in an earlier leak, although the holes for the two camera sensors seem to be slightly bigger in the new pictures. Screen protectors aren’t always the best way to get an idea of what a smartphone will look like, but it’s looking more and more probable that Samsung’s Infinity-O displays will grace even the top-end Galaxy S10 variant. That said, Samsung has itself teased that it has displays that have no obstructions, with the camera sensor residing under the screen. The company revealed this ‘New Infinity Display’ at its developer conference last month, although even the 5G variant of the Galaxy S10 may not have this display. Nothing is certain at this point, however. Samsung is in a whole new territory at the moment as it tries to offer an alternate take on notched smartphone displays. The Galaxy A8s will be our first glimpse at how Samsung’s Infinity-O display will affect the user experience, at least when there’s just a single front camera. I thought the notch is the most disgusting design, then I see this. Where are iris scanner and light sensor and proximity sensor ? I was willing to accept a single hole. But this aberration with a black thing in the middle looks worse than a notch. If this is true, I’m not buying it. I dont understand everyone complaining how ugly it is. It’s so small compared to most notches. And Samsung was the last company without a notch. So you either get a phone with a larger notch or get the s10 which has a much smaller hole and so many other unique features like the ultrasonic fingerprint scanner. Notch looks much better than this huge hole. They lost their mind if they thought this is good solution. They should stay with top and bottom bezels (just a bit smaller). S9+ is really beautiful phone. I would like to buy something similar with FPS on the front, 3D facial recognition, bigger battery. It looks awful. I won’t be getting S10 anyway but I hope this isn’t it. And if it is, I hope it doesn’t end up on the Note10. Same here. unfortunately unless Samsung gets seriously roasted and have a serious backlash because of this horrible design decision it will be on Note 10 too. Samsung told us about infinity 0 never said anything about infinity 00. Hi i, Abhijeet. I am checking samsung ota server everday. They have note 8 pie with N950FXXU5DRL2. I’ve been following you since 2012. I remember Faryaab or Martin shared test build for Galaxy s3 in 2013. We want note 8 pie beta build. May be you can help us? are you really think that note 8 will have beta pie, do you really know what are you saying.? Note 9 yes, not note 8, note 8 is a old phone. May be they can put notification led and brightness sensor between two cameras. I think if hole is very small it’s acceptable otherwise a huge ugly mistake.